Some recent results in the news and media, as well as scientific research into hypnosis and hypnotherapy. “The evidence really, really is there. 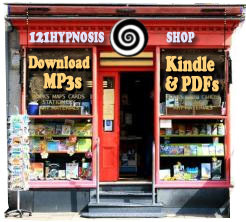 Hypnosis is not miraculous.It is for real. Something is going on. The arch-sceptical view cannot be right”. “We have a magnificent therapeutic tool which has been ignored because there is no evidence of hte mechanism involved. Now we are getting evidence of the mechanism and we now hope people will take it more seriously and develop its effects on cancer and the immune system, pain analgesia and so on”. Gosline, A. (2004). New Scientist, September 10th 2004. Clinical trials of therapeutic hypnosis are starting to confirm its benefits. Christina Lossi, a psychologist at the University of Wales, Swansea UK, recently conducted a study of 80 cancer patients aged 6 to 16. Those under hypnosis experienced far less pain during treatments than control children, who simply talked to the researchers normally. Gosline, A. (2004). New Scientist, September 10th 2004. Subjects monitoring real-time brain scan (fMRI) feedback of their own brains were able to control their own pain levels, after three 13 minute sessions. The biofeedback technique may replicate self-hypnosis. The area that they monitored of their brains was the rostral anterior cingulate cortex, which is known to modulate both the intensity and emotional impact of pain. Note that this is the same brain region that was active in hypnotic states, reported in the above headline ‘Biological support for Hypnotic State’. This supports the idea that pain is well and truly a subjective experience. Research by Maeda and deCharms at Stanford University, California. Phillips, H. (2004). New Scientist, 3rd May 2004. Steven Lynn, professor of psychology at Binghamton University, State University of New York, describes the concept of ‘mindfulness’: the ability to stay non-judgementally aware of one’s fluctuating thoughts and feelings. He says “Many psychotherapies are now recognizing that people try to suppress or conceal feelings. But the more they try to push away unwelcome mental experiences the more those experiences come back to trouble them. By learning to observe and accept whatever flows through their minds, individuals can come to desensitize themselves to unsettling thoughts and feelings. Glover,G.C. (2005) Medical News Today, February 24th 2005. Research by Carol Ginandes at Harvard Medical School showed that hypnosis increased the rate of recovery on patients who had undergone surgery. The research was compared to patients who recieved the same surgery but without hypnosis. Another study is cited where fractured ankles healed in 70% of the normal time when the patient used hypnosis. Again, this was compared to a control group under the same circumstances, but without hypnosis. Cromie, W.J. (2003) Hypnosis Helps Healing. Harvard University Gazette, May 8th 2003. A team from Soroka University, Israel, found 28% of women in a group of 185 who were hypnotised became pregnant, compared with 14% of those who were not. Hypnotherapy was used to relax the spontaneous womb contractions which can jeopardise the embryo transfer stage of IVF treatment. Dr Levitas: “Performing embryo transfer under hypnosis may significantly contribute to an increased clinical pregnancy rate”. However, Dr Shenfield of University College London argues “One of the very important confounding factors in this field is the duration of infertility”. Ryan, C. BBC News Online. 29th June 2004. Leslie Walker of Hull University UK studied 63 patients with newly diagnosed cancers, all of whom were recieving chemotherapy and standard anti-nausea drugs. The experimental group who recieved hypnotherapy or relaxation treatment alongside normal treatment lived significantly longer. This was measured 13 years after diagnosis. It is thought that relaxation may increase T-cells to boost the immune system, this would then help counteract the immunity supression caused by chemotherapy. Young, E. (2001). New Scientist, 30th March 2001. What a Great article!! I am so glad Hypnosis is being recognized more every day as a viable form of treatment of physiology, bad habits, and psychological issues. The mind is probably our future medicine for many areas of life. Brilliant article. Thanks for posting.